NUS Astronomical Society wants to welcome you back to school by celebrating the ‘Late’ Chinese New Year. P.S. In case you don’t know where Engin Bridge is, let’s gather at Central Forum first. To celebrate the start of our recess week, NUS Astronomical Society is going to hold a very special event which is a stargazing trip at Science Center. In case you have difficulty finding us, please contact Steve: 96361250. PS: Please remember to being you EZ-link card since we are taking public buses there. The 2 Mars rover, Spirit and Opportunity were initially designed to last for only 3 months due to the harsh Martian winters and dust storms. However, both have surpassed all expectations and are currently spending their sixth year on Martian soil. 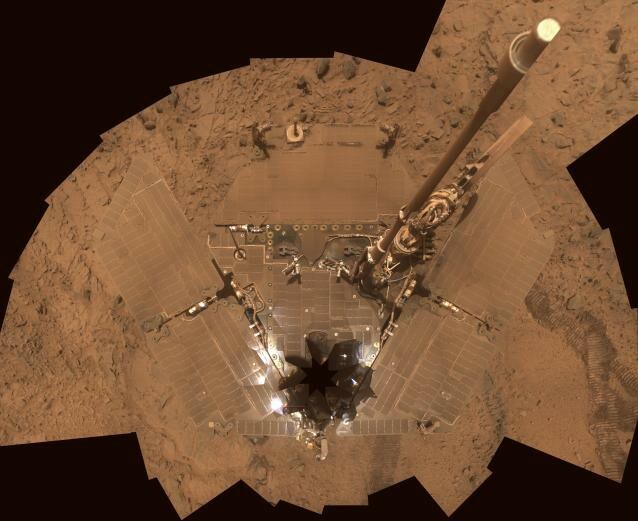 Spirit, unfortunately has ended up in a “sand trap” and all reasonable means to extract it has been exhausted. Life has been tough for the Spirit Rover. Every dark and cold Martian winter, all systems are shut down to provide essential heating while the rover finds a slope to tilt itself in order to capture as much sunlight as possible and recharge its batteries. Whether it awakens from its hibernation has always been an uncertainty for the operators. Moreover, its solar panels are peppered with Martian dust threatening to blot it out. Occasional winds do help to blow off some sand, but with Spirit being stationary, such occurrences would be unlikely in the near future. No its not a desert camouflage. Also, Spirit has been driven backwards ever since one of its wheels jammed and has lost much maneuverability. And on even more unfortunate news, it appears that President Obama has struck a crippling blow to human space exploration, announcing budget cuts for NASA and effectively ending any trip to the Moon or Mars in the next 20 years. The focus on space exploration would be shifted to low Earth orbit, possibly signaling a change to the costly Space Shuttle program.